THOSE WITH LONG memories, or an interest in smart lighting, may remember Witchdoctor editor Gary Steel’s amazement at the launch of the Philips Hue back in November of last year (read that piece here). 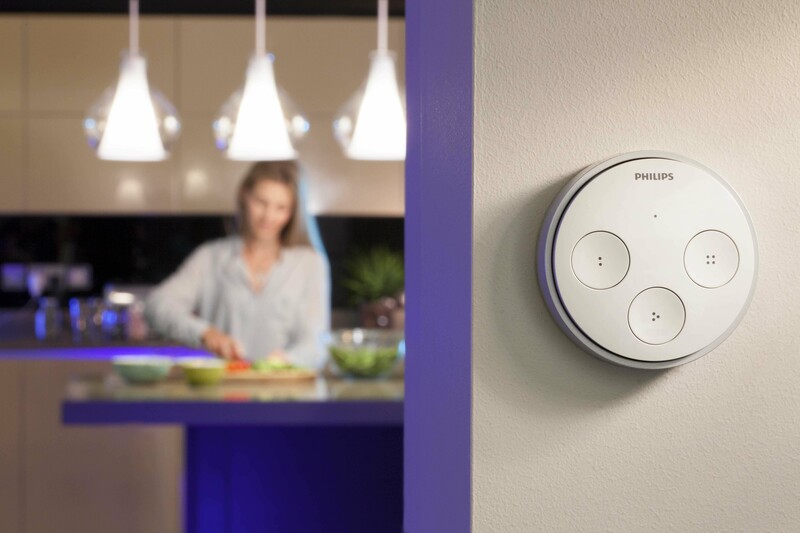 In essence, where so many ‘smart’ home solutions require expensive cabling, the Philips Hue lighting range can be set up wherever/whenever, and controlled through their app via smartphone. Even cooler is the galaxy of apps allowing a seemingly endless number of uses for the lights, some of them totally practical, others totally fun or fantasy. Now, Philips has come up with the Hue Tap, which essentially, is a wall switch that can be used to control the Hue lighting when your smartphone is unavailable – say, if it’s being charged. Or maybe, you just like using something that’s like an old-fashioned switch. Sort of! 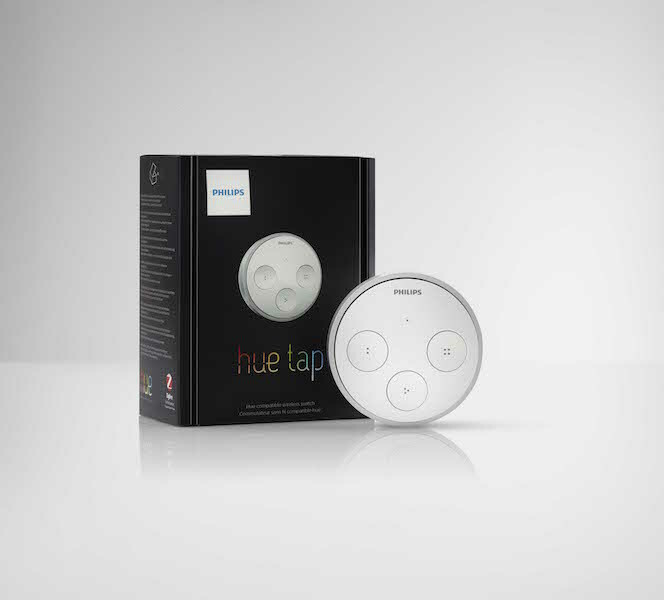 The web-enabled Philips Hue Tap allows the user to operate up to four of his or her favourite light scenes simply by tapping its buttons. It can also be used anywhere in the house – not just on a wall but on a desk or even the palm of your hand. And the amazing thing is that it requires no batteries: it uses kinetic energy harvested each time you press one of its buttons. Yes, that’s right, it’s stealing your energy! Is that cool, or is that cool? Philips call it the reinvention of the light switch. The Philips Hue Tap sells for around $89.95.